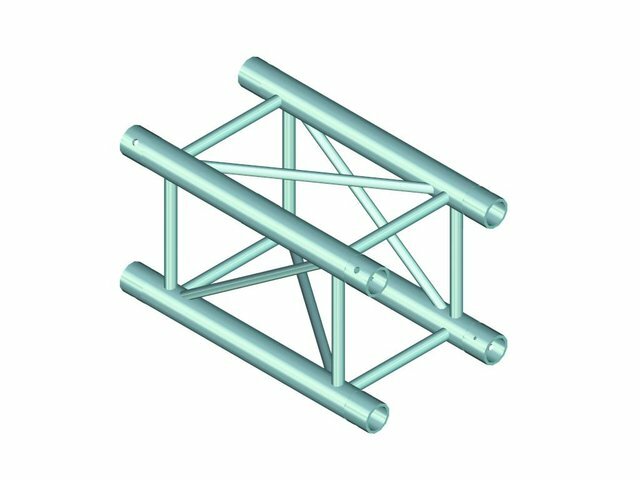 TOWERTRUSS TQTR is a 4-point truss system made of aluminum. The individual elements are connected via four cones, pivots and pins. TOWERTRUSS TQTR is made of EN-AW 6082 T6 (AlMgSi1 T6) alloy with 20 mm braces for high loads. The four main chords are made of 50 mm aluminum tube with 4 mm wall thickness and offer a good relation between strength and weight. The braces have a diameter of 20 mm with 2 mm wall thickness and leave enough space for installing couplers, hooks and clamps. With 290 mm outer dimensions, TOWERTRUSS TQTR is a stable truss system for high loads and extended durability. This system is mainly designed for building the Tower System I and II and for intense use in stage installations, fair installations, event installations.